Waste management workers are essential to our society despite having some of the most difficult and thankless jobs to perform. Not only do these workers perform backbreaking labor while working long hours, but they expose themselves to countless hazards while doing so. It is for this reason that they deserve to be taken care of in the event they are injured and their families deserve compensation when they are killed on the job. The Chicago work injury attorneys of Rosenfeld Injury Lawyers LLC understand how tragic work related accidents can be and are committed to helping injured workers recover physically, mentally and financially so that they can continue to provide for their families. If you or a family member was injured while working in waste management, you are likely entitled to workers compensation benefits. Contact the workers compensation attorneys at Rosenfeld Injury Lawyers LLC for more information and a free review of your legal rights and options. The Bureau of Labor Statistics tracks critical job data; including which occupations have the highest injury and fatality incident rates. Data from 2014 revealed that waste management was the fifth most deadly occupation. This is primarily because sanitation workers are exposed to a multitude of hazards which include the powerful machinery they operate, the unpredictable nature of motorists and the chance of coworker negligence. Roughly one quarter of the injuries in this field are the result of backing accidents, while other common causes of injury stem from traffic incidents and the improper securement of objects. Following are some of the most common accident scenarios that can result in an injury to a refuse and recycling worker. The worker is struck by a backing truck because the driver does not see him or her. Backing incidents can also involve other vehicles, which places a worker on the back of the truck in danger of being crushed between the truck and the other vehicle. The worker is struck by a distracted, reckless or otherwise negligent driver. While there are plenty of safety measures workers can take to reduce their risk of injury, one of the things they are unable to control is the behavior of motorists they may encounter when on their routes. The worker is struck by an object or debris. Garbage trucks have very powerful compactors that are capable of compressing and shattering many types of materials. It is possible at times for compressed refuse to shatter or burst, sending debris and metal in the direction of workers or bystanders. An equipment malfunction results in a worker’s injury. 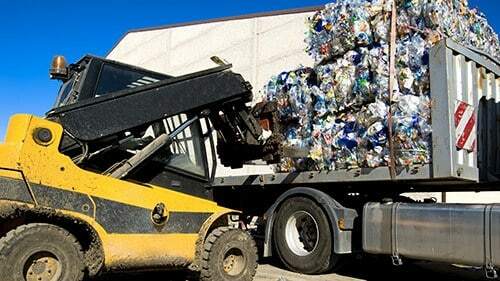 It is important that the equipment used in waste management functions is properly maintained and inspected due to the disastrous consequences mechanical failure can have. A worker does not receive proper training or an inexperienced worker injures another on the job due to a mistake or error in judgment. Every worker needs to receive regular safety training and know proper procedures for backing and the operation of heavy machinery in order to reduce the risk of injury. It shouldn’t come as a surprise that working with or around heavy machinery can result in much more serious accidents than when working in less dangerous fields. It is very possible that waste management workers who are injured on the job may never be able to return to their duties, which is why our Chicago work injury lawyers are so focused on ensuring our clients have access to financial compensation that will meet their future needs as well as their present obligations. Some of the forms of injuries we’ve encountered when working with garbage collectors and recycling workers include the following. Crushed and broken bones. The location and severity of these injuries may determine whether the victim is able to use his or her limb again— directly impacting the ability to work again and changing quality of life. Injuries to the back or spine. Some spinal injuries are treatable with surgery and rehabilitative therapy while others are more permanent in nature. Most people who have suffered an injury to the back or spine, however, will attest to the continuing pain they feel for the rest of their lives regardless of whether they maintain motor function. Traumatic brain injuries. Scientists are discovering a striking correlation between blows to the head and immensely debilitating neurological disorders. The best way to detect and reduce the severity of these injuries is to diagnose them early. Mutilation or amputation. When limbs or digits get crushed between the moving parts of massive and powerful machinery, it may not be possible to save the affected area. Victims are forced to adjust to a life without the amputated or mutilated limbs. Death. The very worst case scenario is when the worker dies from his or her injuries, leaving a family behind without a breadwinner, companion and guardian. It is only right to ensure that the family left behind receives the compensation needed to replace the deceased’s income so that they may be able to cope with their loss without added financial stress. If you have been injured in a workplace accident while working as garbage collector or refuse worker or lost a loved one, our Chicago workplace injury lawyers understand the emotional toll the accident can take and will do whatever we can to recover the compensation you need to be able to move forward with your life. Contact us today to arrange a free consultation so that we can find the answers you deserve and seek justice on your behalf. Our Chicago work injury attorneys will review all legal avenues available to ensure that you are able to collect every bit of compensation you are entitled to and will pursue accountability from any party whose actions contributed to your injuries. If for any reason we are unable to secure damages on your behalf, you are assured that our services will be completely free of charge.